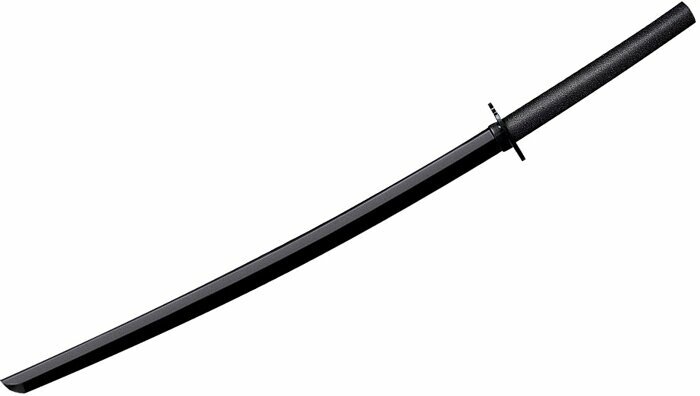 Cold Steel Bokken is made of the heaviest grade polypropylene available and closely duplicates a real Katana in length, size, weight and feel. And while it is not quite as rigid as wood, it has the advantage of being virtually unbreakable as well as remarkably stiff and cut resistant. It is a quite good bokken, it doesn't bend and it's quite comfortable in hand. I definitely recommend it and all other Cold Steel products as well.